“Whether your life is happy or not is your own choice. because I don’t have arms or legs. Nick could be angry about not having arms or legs, but he chooses to be thankful for his little “chicken drumstick” instead. We will all face difficulties in life, but if we don’t give up, if we try to do things in a new way, if we take a different view of things, everything is possible! If Nick can do it, so can you! 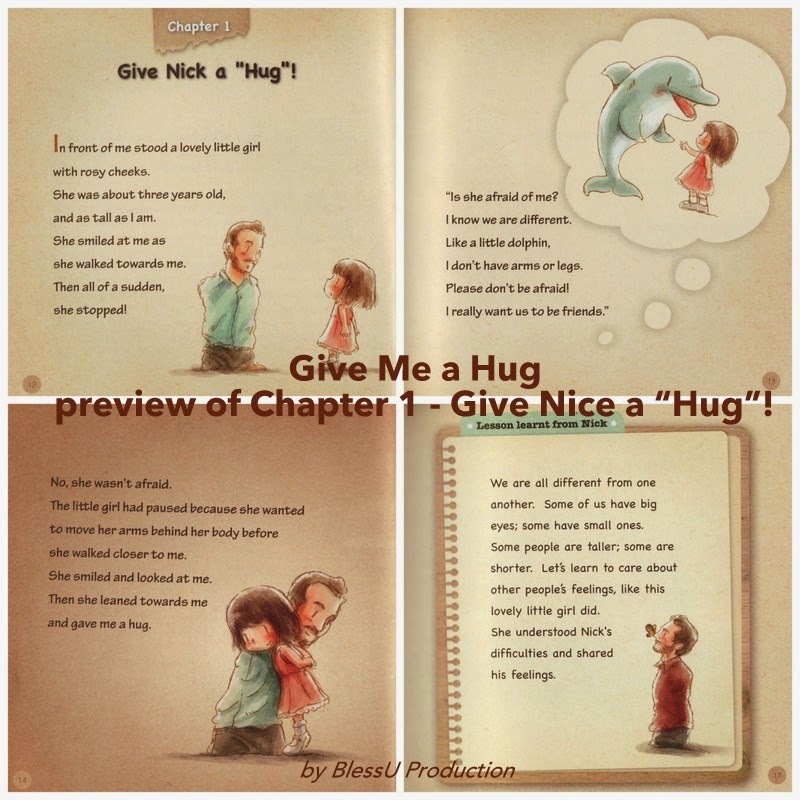 This is an inspirational illustrated storybook about the importance of love in our life. Whether you are a child or an adult, learn to appreciate and treasure each day, and most significantly, live a life full of gratitude. and give someone in need a big warm hug!